The law is the final arbiter of contested issues in America, and decisions made within the legal system have far reaching and potentially irrevocable consequences. 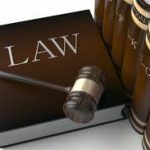 Having a Georgia attorney on your case is critical to successfully operating within the legal system and achieving the best results. We pride ourselves on providing clients with tremendous customer service. You have the ability to speak with an attorney directly at (404) 447-1311, and experience what it’s like to be treated like a person instead of a number. Treat you with the dignity, attention, and availability you deserve. Explain the Law and its application to your case in approachable terms. Assess the strengths of your case realistically and honestly. Communicate and keep you in the loop at all times. Commit the time necessary to achieve the best possible results. When you are faced with a serious legal matter, it is crucial to act quickly and wisely. The first thing you will need is an attorney you can trust, an attorney with the experience, reputation, and determination to effectively defend your rights at stake. Regardless of your circumstances, you deserve justice and first-class legal representation. That is where we come in. We are always willing to work with you and your financial situation, making it possible for you to afford the legal representation that you deserve. We welcome the opportunity to earn your trust and deliver you the best service in the business. Our team has handled client matters in Municipal, State, and Superior Courts throughout Georgia. You have the ability to speak with us directly at (404) 447-1311 and put us to work for you. 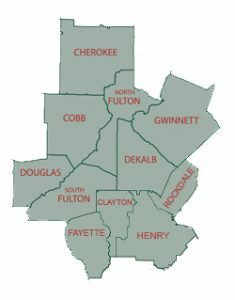 *We also provide service to additional counties throughout Georgia that may not be listed above. "Where Your Legal Concerns Are Our First Priority"